Alela Diane‘s latest album is full of life. The folk songstress lends her commanding croon to topics of love, travel, friendship, hardship and marriage, addressing each with a confidence that can only come from experience. 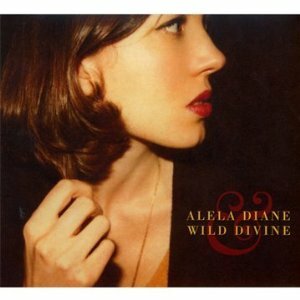 Alela Diane & Wild Divine is a sure-footed piece of Americana, a brighter and more accessible album than her previous works. Produced by Scott Litt (REM, Nirvana, Patti Smith), this third studio release has more polish, but a bit less sparkle. The soft and haunting instrumentals of songs like To Be Still‘s “White As Diamonds” are largely missing from Alela Diane & Wild Divine. As indicated by the album’s title, the backing band (christened Wild Divine) effectively shares the stage with the Portland singerâ€”its assertive instrumental delivery pushes Alela closer to alt-country than folk. Her powerful voice is well-suited to this new setting, however, and the album evokes the openness of America’s Great Plains. Although this latest release lacks the homespun feel of earlier material, it is unquestionably more assured. Alela’s voice seems even stronger than before, and she addresses notions of life, love and loss with a new level of maturity. Her direction is glossier, andÂ Alela Diane & Wild Divine reveals a songwriter who is truly world-wise.